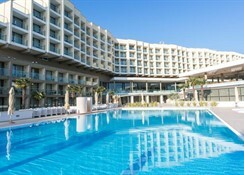 The Laguna Materada Hotel is located right by the sea, this recently renovated family hotel is a place where you'll feel pampered and relaxed. 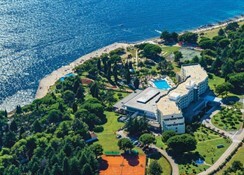 The family hotel Laguna Materada, in the immediate vicinity of Porec, is surrounded by spacious parks, beaches and grassy spots perfect for sunbathing in the Istrian sun. Hotel Laguna Materada will offer many playgroups, fun and creative programs and a mini-club in the safe company of our entertainers. 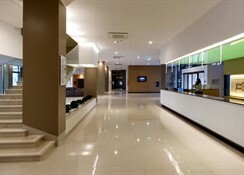 Hotel Laguna Materada and its pleasant and professional staff are certainly make gust stay fun. 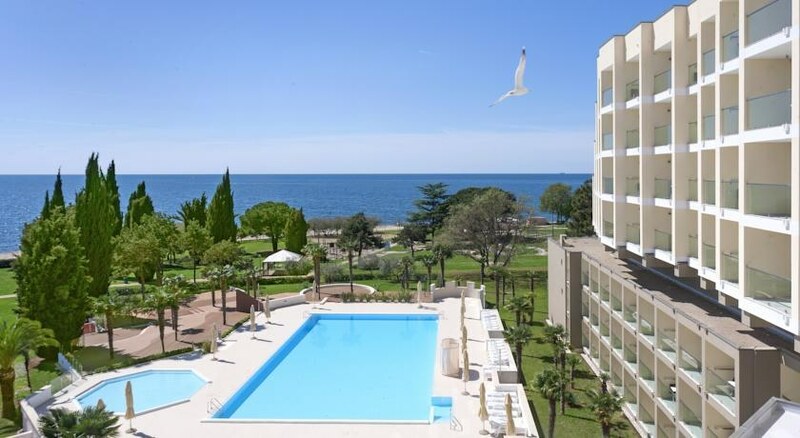 This family hotel right by the sea is surrounded by spacious parks and grassy sunning areas. 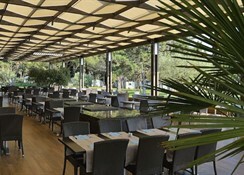 It is a perfect place to relax and have fun with entertainment, sports, gourmet pleasures and live music. Please note - Children Cot @ â?¬5.00/day on request paid directly on the reception & Parking @ â?¬1.00/day payable on reception.